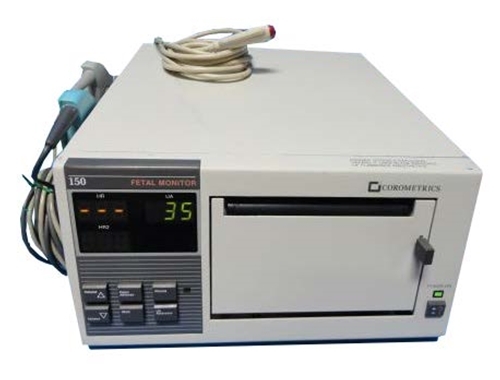 The GE Corometrics 150 twin fetal monitor is designed for any OB/GYN offices, clinical settings or hospital. With patented Correlation signal processing, the accuracy of ultrasound FHR monitoring is significantly improved resulting in clear and consistent heart rate traces. While monitoring twins, overlapping heart rate traces can be separated with the push of a button. The strip is automatically and regularly annotated to indicate the offset mode is enabled.